for job ads Formats, Prices, Audience etc. EuroEngineerJobs collects and displays jobs in the fields of Energy and Power, Mechanical Engineering, Oil and Gas, Industrial Engineering and many more. EuroEngineerJobs brings together these jobs to provide our users with a centralised site for well-educated professionals looking for international engineering jobs in Europe. Our multi-lingual profiles with varying language skills highlight the candidate pool that may match your job profile. Language shouldn't be a barrier when looking for candidates outside your native country. 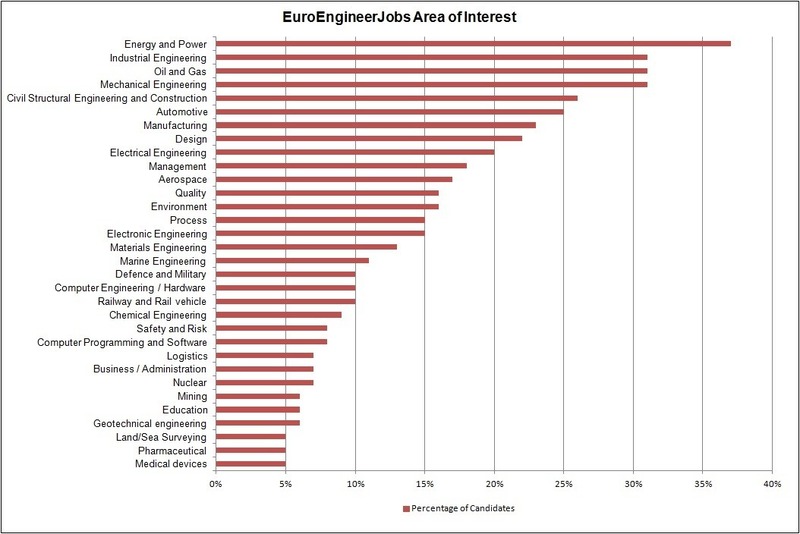 EuroEngineerJobs is a more focused site, reaching a higher number of qualified people on a regular basis and quickly. 37% of users have master degrees and/or PhDs in the engineering field. EuroEngineerJobs candidates have high level skills that span numerous engineering disciplines. "I often advise multinationals within High Tech, Chemical and Manufacturing industries to use EuroEngineerJobs to source highly qualified engineers. During the past 6 months I've successfully used EuroEngineerJobs for positions such as Process Safety Engineer, Support Engineer, Chemical Engineer and Lean Engineer. Despite complex job profiles and the scarcity of the target audience we were able to generate good resumes." "What I've learnt this week: The fantastic job site for engineers in the EU: www.EuroEngineerJobs.com"